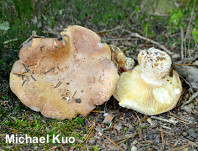 This distinctive species of Leucopaxillus has a brownish cap, pale yellow gills, and a stout, white stem—presumably representing the three colors referred to by the species epithet tricolor. The author of the species, Charles Peck (1888) commented that it was "[r]emarkable for its varied colors and for the peculiar hue assumed by the lamellae in the dried state" (the gills, when dried, change from pale yellow to pale purplish brown or pinkish). 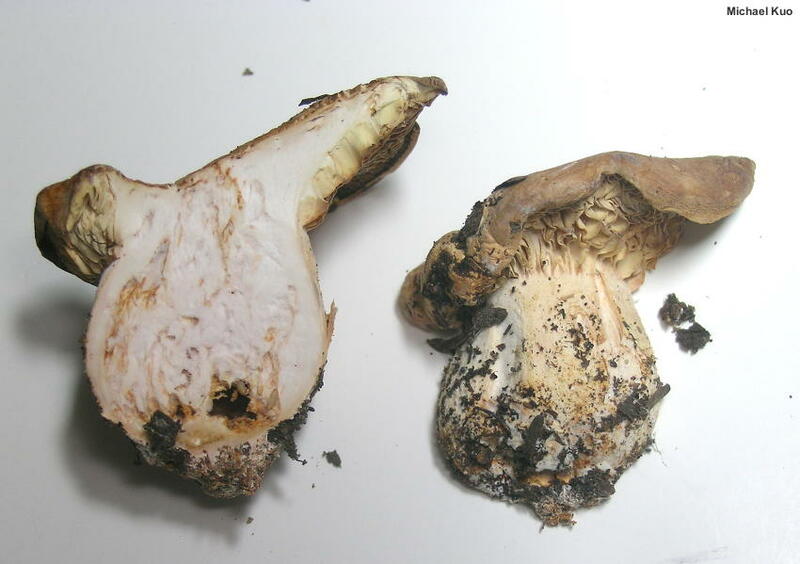 The odor of Leucopaxillus tricolor is also a distinguishing feature: it is strong and foul, reminiscent of coal tar (like the odor of the better-known species Tricholoma odorum). 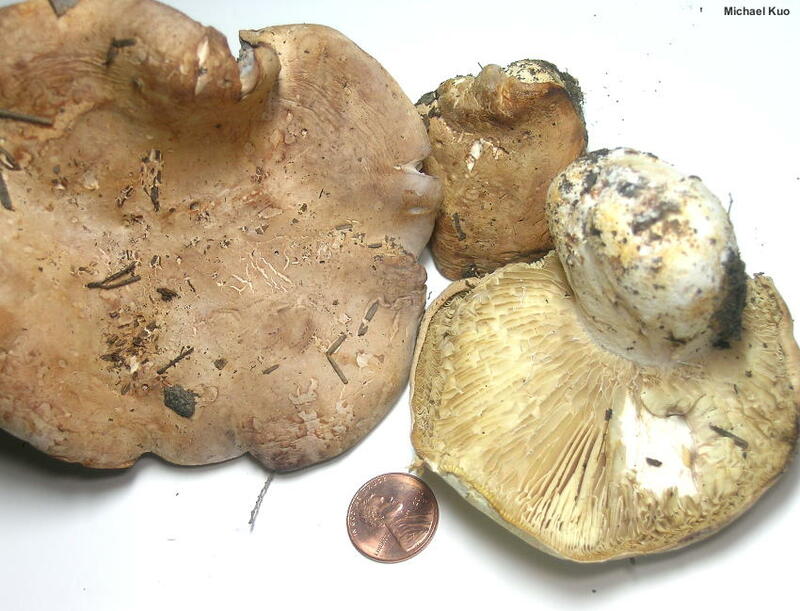 Ecology: Saprobic, decomposing the litter of hardwoods; growing gregariously; summer and fall; widely distributed east of the Great Plains but apparently more common in the middle southeast. The illustrated and described collection is from Kentucky. Cap: 4–11 cm; convex with an inrolled margin when young, becoming broadly convex to nearly flat; dry; bald; brownish to dull brown. Gills: Broadly attached to the stem; close; short-gills frequent; separable from the cap as a layer; pale yellow. 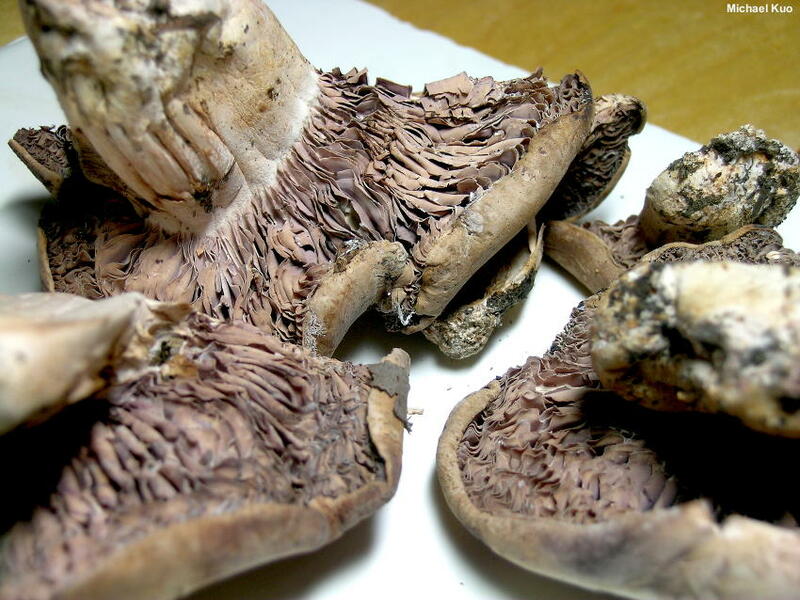 In dried specimens the gills turn pale purplish brown to pinkish. Stem: 3–6 cm long; 2–4 cm thick; stout; swollen in the middle; dry; bald; white; with prominent and copious white basal mycelium. Flesh: White; thick; hard; not changing when sliced. Odor and Taste: Odor strong and foul, reminiscent of coal tar. Chemical Reactions: Cap surface grayish to dull red with KOH. 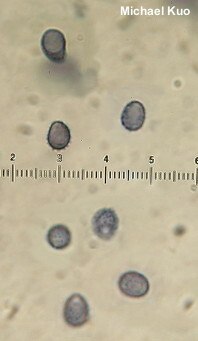 Microscopic Features: Spores 6–8 x 4–4.5 µm (including ornamentation); ellipsoid to subamygdaliform; very finely spiny with spines under 0.5 µm; amyloid; hyaline in KOH. Basidia 4-spored. 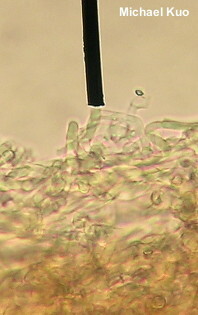 Cheilocystidia 35–75 x 2–3 µm; cylindric-flexuous to filiform; smooth; hyaline in KOH. Pleurocystidia not found. 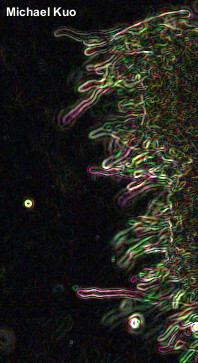 Lamellar trama parallel. 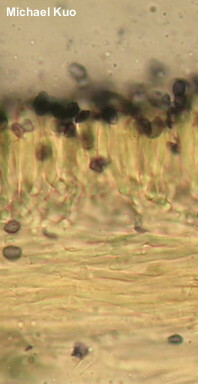 Pileipellis a cutis of hyphae 2–3 µm wide, hyaline to brown in KOH. Clamp connections present. REFERENCES: (Peck, 1888) Kühner, 1926. (Murrill, 1914; Kauffman, 1918; Singer & Smith, 1943; Smith, Smith & Weber, 1979; Phillips, 1991/2005.) Herb. Kuo 06301702.